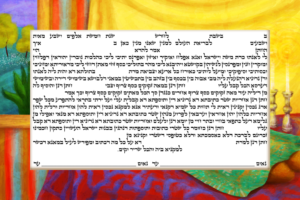 The Simple Shabbos Ketubah exhibits a gorgeous border with tons of vibrant color. The Simple Ketubot are all printed using a high-quality print process, directly onto high-quality Heavyweight Art Paper. All Simple Ketubot are 8x12 inches, so they are easy to store. And the Simple Ketubot are available with the RCA Orthodox Aramaic; the RCI Ashkenazi; or the RCI Sephardi text. Each Simple Ketubah is created by hand by a Ketubah Artist who is a member of the Ketubah Artists' Association. The Simple Ketubot are innovative in the world of Ketubot, as the first and only line of high-quality but affordable Halachic ketubot. Category: Price, $0-$100, Ketubah Artists, Budget Ketubot: Now 50% Off ($100! ), Material, Heavyweight Art Paper.